Biometric based access control has a proven track record of successful deployments across a variety of industry types. Despite the varying challenges in different use cases, some of the applications like physical access, logical access, identification, employee attendance, etc. can be deployed regardless of industry type. This flexibility of biometric applications made them mark their presence in government as well as private outfits. Biometric applications are particularly useful at the places where a lot of customers, members or visitors enters or exits a facility, or require identification or verification. Hospitality industry units like hotels, resorts, inns and casinos often face the challenge of ensuring security of guests while keeping the convenience in place. However, they always seem to struggle to achieve desired results. For example, if a hotel enforces too many formalities or procedures on the name of security, guests may get annoyed and never return. On the other hand, feeble security measures can leave guests, visitors or employees vulnerable. This imbalance can have a long term impact on the business as hotels or resorts are the places where people want to feel privileged and welcomed, not troubled. In the subsequent sections, we will have a look at challenges faced by hospitality industry units and how biometric technology can be used to address those challenges. Challenges of hospitality industry are as unique as the industry itself is. In other industry types where you may be called a member, a patient or simply a customer, you become a guest when you take the services of hospitality industry units like hotels, resorts, leisure centers, etc. So when you are a guest, you cannot be treated like usual customer. The word guest itself raises the expectation of the quality of services to be received by a customer. Guests are always welcomed, and shall never be bothered. If everyone taking service of a hospitality unit is a guest, how threats can be identified if they disguise themselves as guests? You cannot frisk your guests or take them aside to search their belongings, nor can you ask them to prove their identity at every next door. Security at hotels is not like airport security where everyone has to go through strict security checks and identity authentication. There is a cut throat competition in hospitality industry where you can lose customers over a tiny spot on the bed sheet. So what is the solution? How hospitality outfits can ensure security while keeping convenience and comfort in place? There is a solution: Let the technology take the heat if something goes wrong. Customer expectations can be overwhelming at hospitality outfits like hotels or resorts. Meeting everybody’s expectations can be challenging so hotels have to prepare beforehand. Hospitality industry employees are never expected to be impolite even if their guests are. Behavior can be the major criteria for employees at hotels, resorts, leisure centers and many other hospitality outfits. It, however, opens doors for fraudsters and threats as they may disguise as a guest and take advantage of gracefulness of hospitality industry units. A hotel guard may not force guests to prove their identity, but what when there is a no guard and just a fingerprint scanner, where you need to put your finger to open the door? Just like we blame an ATM machine and not the bank employee, when it refuses to dispense money, tech solutions can face the music if guests are not fine with access control by human security guards. Since hospitality employees are not expected to be too rigid, this part can be shouldered on biometric technology. Customer issues at hospitality outfits may sometimes be ego-driven, but showing ego to a machine is of no use and customers understand that. For example, if a human guard denies access to a certain area, a guest might keep on insisting or turn rude. But if the same access is denied by a biometric equipment, it is not going to hurt the customer’s sentiments that much. That is not it; biometric solutions can help hospitality outfits like hotels and casinos at many fronts to improve their operational efforts, security and convenience. Hotel reception desk can be the least favourable place to be at specially after a long and tiring journey. Don’t we all feel like skipping that part and crashing on the couch straightaway, or taking a shower rather? But traditional check-in formalities never seem to come along what guests want and become a time consuming affair. Skipping check-in formalities may not be entirely possible but it is quite possible to expedite it in a way that it quickly sets you free from the reception desk. A biometric powered check-in can give guest the experience they want and deserve. Registering their biometrics (for example, fingerprints) and enabling access to the room in the hotel management software will give them frictionless access to their room and concentrate on the next thing they want to do. They can also be provided with access to assigned hotel facility in the package like pool or casino, which are also secured with a biometric access method like fingerprint recognition. The underlying system also keeps record of guest’s whereabouts and generate reports when needs, e.g. at the time of billing, checkout or audit. Returning guests come with set expectation and preferences. Some guests may choose to rebook a particular hotel due to facilities offered, while other may find familiarity more convenient than taking a chance on something new. Guests under corporate tie-ups also book the same hotel for their official stay. High-end guests can have a tight schedule and may be reluctant to mention their preferences again and again. Managing preferences of returning guests beforehand give them an idyllic experience and more business to the hotel in long run. This can be efficiently achieved with a hotel management system equipped with biometric ability. Preferences of a guest can be associated with their biometric identifiers, which are instantly fetched when they scan their biometrics in future check-ins and hotel staff can surprise them every time they visit. Preference tracking with guest biometrics is the fastest way to identify guests and track their preferences. When guests go to the check in counter, they need to just put their finger on the fingerprint scanner and their account information and preferences are be displayed. Ideally, a booked accommodation in a hospitality outfit like hotel, resort or a guest house should only be accessible by the guest or the authorized hotel staff. Earlier this used to be achieved with locks and keys and now it is largely done with keycard locks. These credit card sized keycards stores a physical or digital pattern that the door mechanism accepts before disengaging the lock. Keycards may range from mechanical hole cards to RFID and smart cards with embedded microchip. They are a popular mean to implement room security but offer a limited functionality in today’s integrated world. Hotel door locks aren’t wired back to the systems at the front desk. Therefore, if a card is lost and a new card is issued, the room remains unprotected until the new card is inserted into the lock and it resets. On the other hand, hotel room access based on guest biometrics provides an integrated solution that is connected with the hotel management systems. Since there is no need to card, keys or any other form of possession, there is no fear of losing them or getting them stolen. Biometrically logged entry exit presents strong proof that only guest entered the room and no one else. How great it would be that a customer puts her finger on a scanner and there she goes. There is no need to look for keys or keycards in pockets or bags that may already be occupied with other stuff. 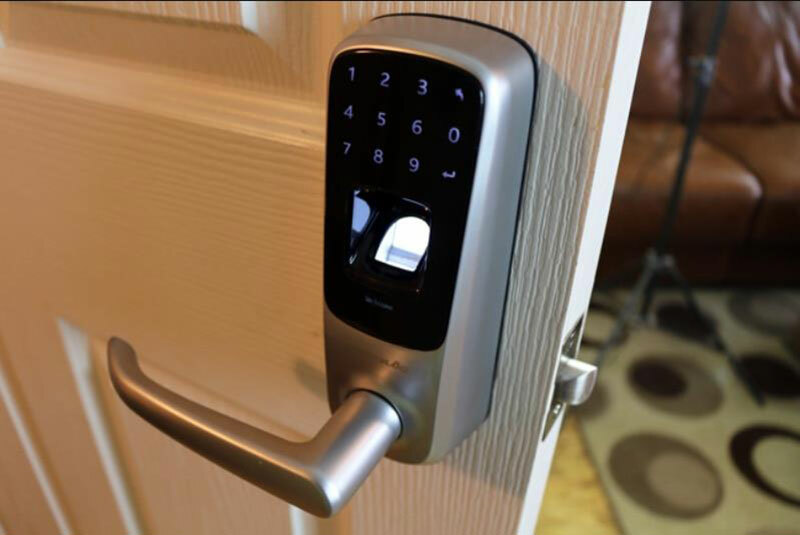 With biometric solutions like fingerprint recognition, fingertip of your guests becomes the safest keys to the door locks. Present day hospitality outfits try to gather all the services at one place their customers can think of. While it becomes a convenience for the customers, it brings business to the hospitality units and gives them a chance to flaunt the variety of services to offer. It also adds up to their list of facilities, making it more appealing for guests to pick the hotel for their stay. In-house facilities like pool, spa, casino, fitness club, etc. 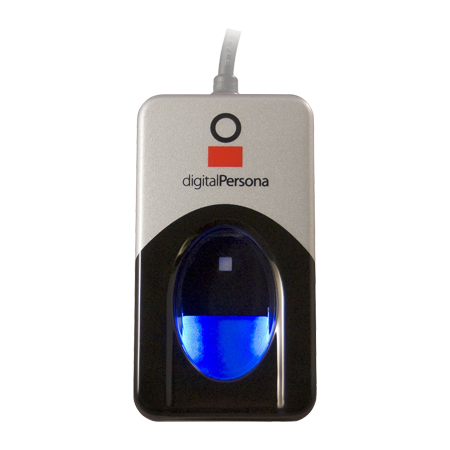 can be secured with biometric recognition, which provides privileged guest frictionless entry to them. Since their biometrics is already registered with centralized access systems, there is no need to perform any other formality. 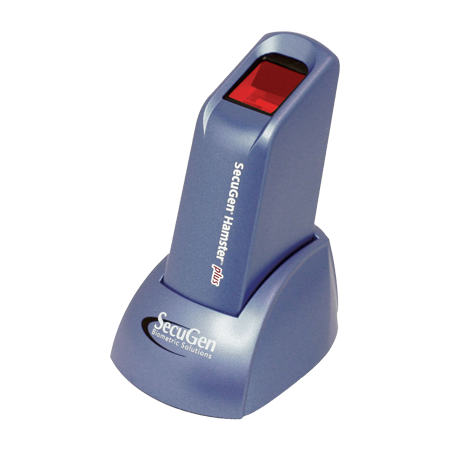 Biometrically secured entry / exit to a service / facility area will require guests or members to scan their fingerprint or face to enter the facility and will log the time spent in the facility area. Some complimentary facilities may be included in a package and can be defined in hotel management system, which can be integrated with access control and privileged guests can enter different facility area unrestrictedly using their biometric. For routine customers, the hotel management system can share this entry/exit data with other sub-systems like billing and accounts. Biometrically authenticated entrance leave no chance of misinterpretation of services availed by a guest during her stay. It also prevents any outsiders from using hotel facilities such as pool or casino that are reserved only for guests. Billing is a crucial aspect as it is where your endeavours to offer hospitality services turn into money. A customer may have availed different services during her/his stay. At hotels, guests can order extra food, take a spa, airport transfer, join fitness center and so on. Some hotels may also accommodate services on demand. All these require different departments in a hotel to keep their work in sync which can be a very challenging and time consuming task. That is the same case with resorts, casinos, and many other hospitality outfits. Listing or organizing services availed can be troublesome at these places if it is not put on automation. On manual mode, getting list of all the services a guest has availed may keep him waiting at the billing desk, which would ruin her/his experience. Happy ending is very important at hotels and many other hospitality units. No matter how good services have been or throughout a guest’s stay, messing up everything while she/he checks out will ruin all the efforts. At the time of billing, a guest may insist on not availing a service that has actually been availed and forgotten. Biometric based entry and exit records present authentic proof of services availed. Security might not look like a key business aspect but it actually is more important than any other business function. While hotels and resort administrators have their focus on facilities and convenience 24/7, security might get easily overlooked. There have been many incidents around the world in which hotels have been targeted and a lot of people had to lose their lives. Hotels in fact are seen as a soft target for terrorist attacks, where many guests, hotel staff and visitors can be targeted in an open area and least resistance can be expected. Security can never go irrelevant when it comes to hotels. Fortunately biometric technology offers so many options for surveillance and security that users can choose and customize it to suit their needs. We have discussed about door access with biometrics but access control is not the only security measure that biometrics can handle. Most hotels leverage surveillance cameras for security and their efficiency can be improved multifold with integrating facial recognition. A facial recognition system can scan live footage and recognize subjects, if their identities have been pre-established. Biometric technology offers a superlative balance between security and convenience. It can be easily scaled up when security is more important than convenience. Its applications have been equally deployed for both security focused as well as convenience focused use cases. Hospitality industry particularly faces convenience-security trade-off and biometrics can be the solution having the right balance of both. Fortunately, biometrics is not just about customer convenience or security, it can be deployed for in-house applications like employee attendance, time tracking and to improve payroll efficiency. Keeping track of employee in and out timings brings in payroll transparency and managers can make sure that employees are being paid for the hours worked and not for breaks. It also curbs time theft and timesheet manipulation within an organization. Time theft and timesheet manipulation is a disastrous activity, in which an employee misinterprets amount of time she has put to complete an assignment or a project. When done on purpose, the time is spent in personal or other activities unrelated to the work and logged in payroll system, putting burden on company funds. A biometric based clock-in and out system can eliminate the possibility of timesheet fraud as employees have to be present to clock in or out time, they ask someone else to do it for them. So a biometric system can be used for different purposes and there is no need to install different systems for different group of people. Despite the difference in application, the core technology of a biometric system stays the same, depending on its use case and the application. 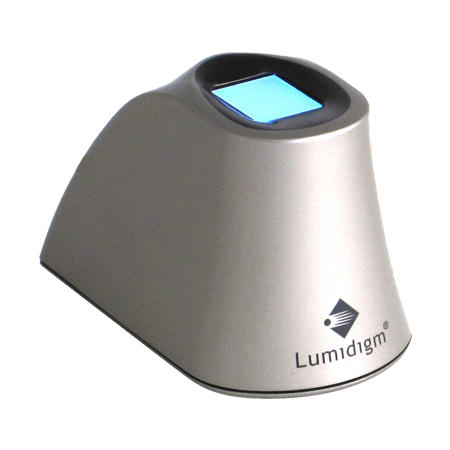 For example, fingerprint scanners for access control are usually bigger in size, scanner glass is illuminated, while smartphone fingerprint scanners are tiny, do not illuminate, and look idle until you touch them. Adoption of biometric applications has grown exponentially in a very short space of time and it has been deployed for a variety of use cases across different industry types. Hospitality units like hotels, casinos or resorts still rely on traditional methods for check-in, room access, security and surveillance, while a single biometric solution can server all these purposes. Fingerprint recognition is the most popular modality, which can also be used in hotels and casinos. 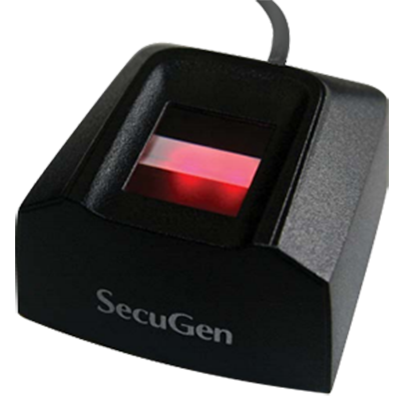 A fingerprint management system is highly reliable and secure as fingerprints are unique to each individual. Furthermore, it is difficult to spoof fingerprints which assure that the person accessing the hotel facilities is the authorized guest. It prevents any outsiders from using hotel facilities such as pool or casino that are reserved only for guests. Once guests are registered with one of their biometric identifier e.g. fingerprint, there is no more need keys or cards throughout the facility. Let it be their room or facility area, they just need to put their finger on the scanner. Biometric door access is particularly useful for high-end business customers who value every second of their time. The biometric guest ID and preference tracking system facilitates keyless entry for guest rooms, eliminating the need for cards or keys. It facilitates automated check in fingerprints kiosks, whereby guests can check in with a simple touch of their finger. Billing becomes dramatically easy and reliable and customers can be reliably charged with biometrically authenticated logs of their entry and exit to facility area. When mixed up with surveillance cameras, facial biometrics can be the ultimate weapon against security threats. A large hotel with multiple locations around the world can be form a complex system, which will require managing centralize resources and sharing data among different locations, this can be easily achieved with biometrics.